Check out this little retro game which is coming on Xbox One. 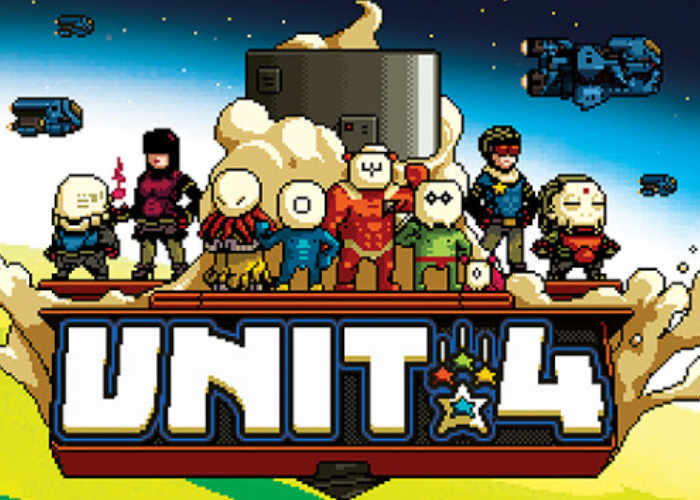 UNIT 4 takes the form of a fast-paced platforming action cooperative game for up to 4 players that join forces to create an elite squad of agents, that use their amazing skills and weapons to explore space on unique missions and engage in incredible fights with huge boss mobs. Unit 4 is about four different characters, each one with its own unique skill: Agility, Strenght, Engineering and Mysticism. Unit 4 features an intense and highly dynamic gameplay based on a classic platformer experience. Each of the four characters can move and jump, with an unique ability that enables different movement dynamics. Levels are filled with crazy jumps, dangerous and ruthless enemies, deadly traps and both movement-based and logic-based puzzles. The game can be played both in single and cooperative multiplayer up to 4 players. In Single Player Mode the player can swap instantly his character combining each ability in a single jump for instance, thus creating an highly dynamic and challenging movement system. Cooperation is the key in Cooperative Mode since each character cannot access to the same areas or do all the actions. The players will need to help each other by figuring out how to combine their abilities first and by correctly performing more and more complex maneuvers. Also, the game does not feature any health system, all damages from enemies or traps will cause death.